I'm cruising down the first fairway at Omni La Costa Resort & Spa’s Champions Course at 20 miles per hour. 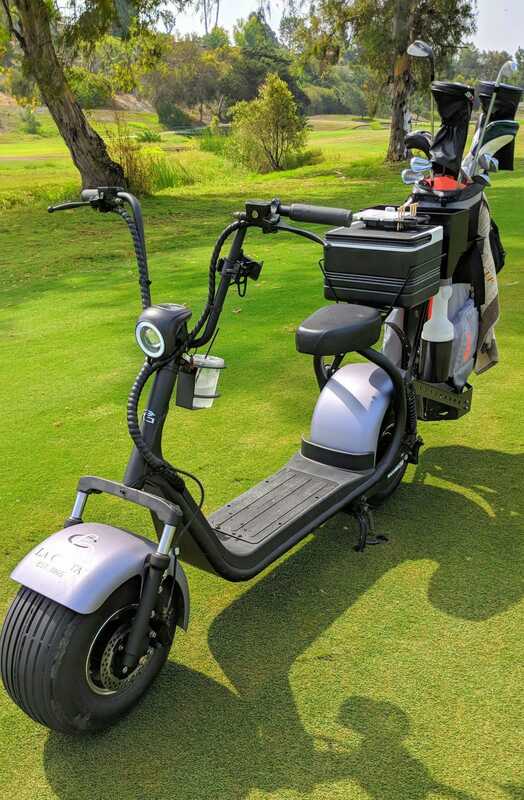 The Southern California breeze is blowing in my face as I’m sitting aboard one of the resort’s new Phat Golf Scooter single-rider electric vehicles. It’s exhilarating, to say the least. What I liked best about Phat Golf Scooter: It helped me focus more on my own game. Driving only to my ball, I had extra time to figure out which club I needed to hit next and where I wanted the ball to land. Believe me, I’m slow to adapt to things. But I will take the scooter out again for a golf round, at the next opportunity.